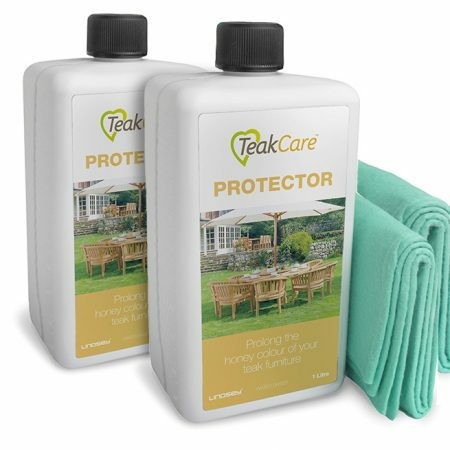 Lindsey Teak Sealer Shield – Creates an invisible shield against spills and stains. 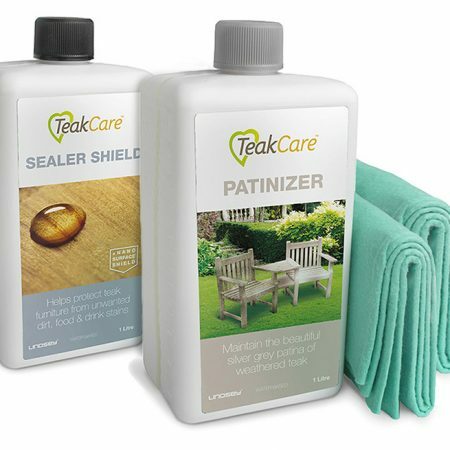 Our Teak Sealer Shield will help to make your teak wood furniture water and dirt repellent. 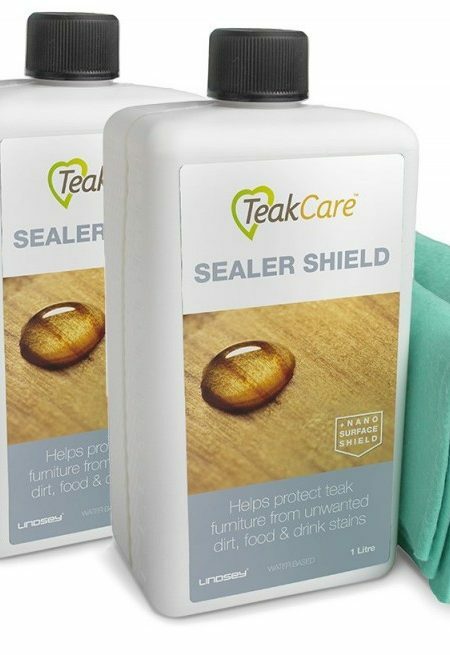 The sealer shield is a water-based, barely visible wood impregnator that stops wine, olive oil, butter, or coffee spills seeping into teak. 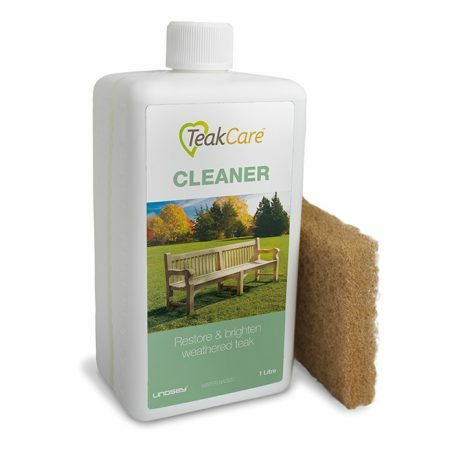 After meals, simply wipe your teak table with a damp cloth to rid the table top of unsightly stains. 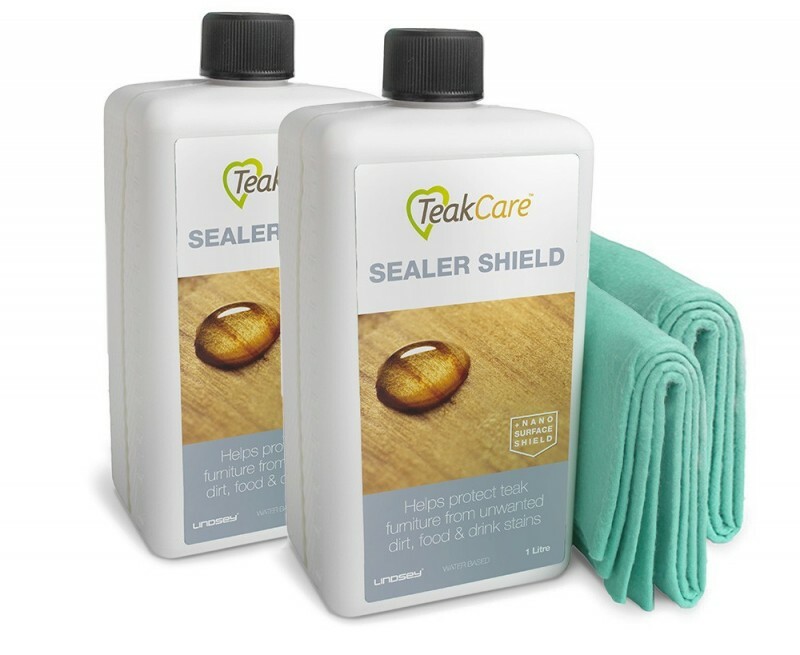 This sealer shield is non-hazardous and is suitable for indoor or outdoor furniture. Both bottles contain 1 Litre and cover approx. 7 sq metres each. 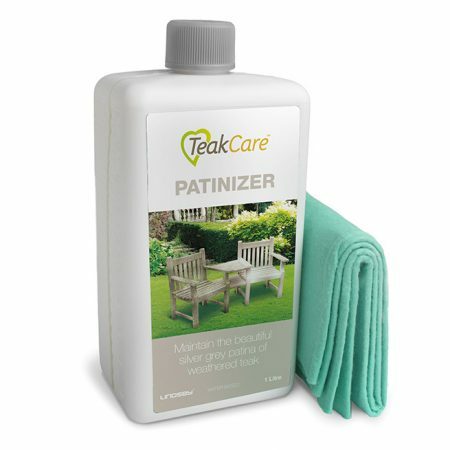 Each bottle contains a soft cloth to make application even easier. Please read our FAQ pages to find out more about our products.